Hewlett Packard Enterprise has been awarded $3 billion in a lawsuit it brought against Oracle five years ago over a now largely forgotten Intel processor. The two sides had been fighting over Oracle's decision to stop developing versions of its software for Intel's Itanium, a server chip that never found much success in the market. After the jury verdict Thursday, Oracle said it planned to appeal. It's Oracle's second big court loss in as many months. In May, a jury rejected Oracle's claim that Google infringed its copyright when it copied parts of Java into Android. Oracle was seeking nearly $9 billion in that case. It plans to appeal that outcome, too. In the HPE case, the company sued Oracle in 2011 after the database giant stopped porting its database and other products to Itanium. HPE, known then as HP, relied on the processor for many of its high-end servers, and it said Oracle was under contractual obligation to keep supporting the chip. Oracle disagreed. In an initial trial, a judge in Santa Clara Superior Court sided with HP and ordered Oracle to keep developing software for Itanium until HP stops using the chip. 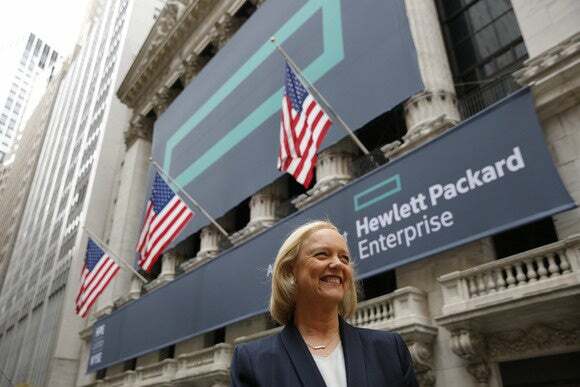 A new trial began last month to determine any damages HPE was owed, and on Thursday the jury awarded it $3 billion, said a source familiar with the outcome. In a statement, Oracle said both trials "demonstrated clearly" that Itanium was nearing the end of its life, and it reiterated that it doesn't believe it was under contract to make software for Itanium. "It is very clear that any contractual obligations were reciprocal and HP breached its own obligations. Now that both trials have concluded, we intend to appeal both today’s ruling and the prior ruling from Judge Kleinberg,” Dorian Daley, Oracle's executive counsel, said in a statement. HPE couldn't immediately be reached for comment.